Mystic musings! 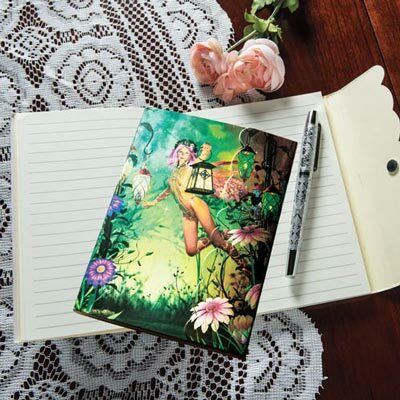 Write down all your thoughts and feelings in this fantastic journal featuring a fanciful fairy design. This Enchanted Garden Notebook features a colourful metallic cover protects your innermost secrets with a secure magnetic closure. 6¾"l.